It’s Super Bowl Sunday in America and wouldn’t you know it…though we’re big FOOTBALL fans, we still find ourselves working on what we love most and that’s MUSIC. We’re excited to bring you the fourth installment in our “Open Mic” series! Guest blogger, Parrish Williams, has us reachin’ for our cassette tapes and thinkin’ about our college days, as he reminisces about one of the few remaining, REAL bands in the land, Mint Condition. Breakin’ My Heart (Pretty Brown Eyes), U Send Me Swingin’, Someone to Love, What Kind Of Man Would I Be, You Don’t Have to Cry No More, Nothing Left to Say, Not My Daddy. Of course these titles are all in reference to one of the last real Funk/R&B bands out there (in my opinion), the musical entity known as Mint Condition. This quintet has captivated yours truly since the first time I heard them in person on the campus of Clark Atlanta University in the spring of 1991. The piece de resistance for me when I first heard them live was their obvious stage presence, their musical symmetry and their ability to keep everyone engaged for the entire time of their performance. The group was first formed in the mid-1980’s in St. Paul Minnesota. Though the current line-up consists of Stokley Williams (drummer, lead vocalist), Larry Waddell (keyboardist), Homer O’Dell (guitarist), Ricky Kinchens (bassist), and Jeffrey Allen (saxophonist, keyboardist), keyboardist Keri Lewis was also a member when they were discovered in 1989. The group was discovered by Jimmy Jam and Terry Lewis in 1989 playing at First Avenue, a popular Minneapolis club. After recording their first project (Meant to Be Mint, 1991) they didn’t get noticed by until the release of their #1 R&B ballad Breakin’ My Heart, a.k.a. Pretty Brown Eyes. The gold single charted for 34 weeks and was their launching pad for what would prove to be a lucrative musical career. Over the course of the next several years the band enjoyed success as a group known mainly for its romantic ballads on the charts but became well known for their versatility on stage as a band. One of the main things people started taking notice of concerning their live performances was their ability to give you everything from R&B to Jazz to Calypso to straight out Funk. The group faced a few struggles after their successful run in the 1990’s. After having disappointing numbers with two labels, they decided to take a hiatus. After coming out of the hiatus to begin recording again, one of the crossroads they faced was deciding whether or not they were going to sign with a major label to give them exposure they felt they needed even though in most cases it left them at the mercy of the label. The decision they made resulted in the forming their own label, appropriately titled Caged Bird. This was one of the groups pinnacle decisions as it allowed them to produce and distribute their own material, thus giving them the creative room to create the music they felt their fans deserved. 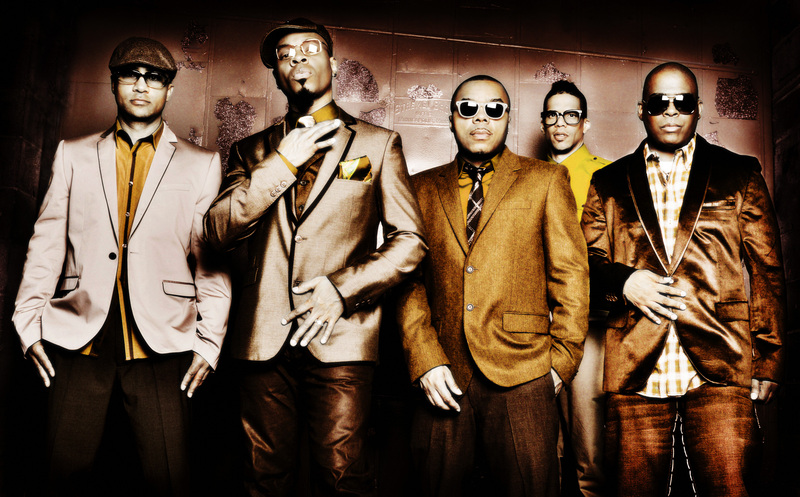 The first project they recorded under their company umbrella, Livin’ the Luxury Brown, became the #1 independent project of 2005. They have enjoyed major successes since, having recorded 4 projects produced through Caged Bird. In 1999, keyboardist Keri Lewis decided to leave the group to manage and produce other artists, namely his wife at the time, singer Toni Braxton. While the loss of a member that contributed so much to the success of a group would prove to be a huge challenge concerning the popularity and moral of most groups, these brothers chose to use his departure as a tool to elevate their level of professionalism and performance. The lesson learned is that they decided to take charge of their destiny as a musical entity, something that the current music industry rarely allows artists to do these days. These brothers have yet to slow down from their momentum of hit making. They embarked on the massive ‘Welcome to America’ tour with their mentor Prince back in 2010. Their latest release, Music At the Speed of Light was proven to be a launching pad for another stream of tours. Never becoming a group that rests on their past successes, they always seem to work on changing the face of what a true band should be. They have officially been in the game for 25 years now and have never looked or sounded better. In my opinion they will always be the definition of a real band! Parrish D Williams hails from Chicago, IL and has been a resident of Atlanta, GA for more than 20 years. 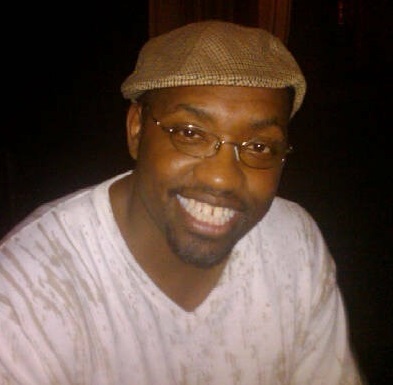 His musical background includes Choral, Jazz, R&B and Gospel vocals since elementary school and continues today as a lead and background vocalist. He is truly a lover of all things music!